Posted on April 10, 2017 by thelostlighthouse	in Gaming and tagged 5th Edition, adventure, D&D, desert, DnD, Dungeons & Dragons, fantasy, pen and paper RPG, role playing game, RPG, text based adventure, The Cursed Tomb, The Lost Lighthouse, TLL, tllgaming, Wizards of the Coast. So Adam and Ian don’t feel like they play enough D&D. To rectify this, they started playing a text-based adventure with a couple of friends, still using the 5th edition framework. We thought it would be fun to clean up the transcripts of this adventure and start publishing it in weekly chapters here on the site. Let us know what you think, and please share around! Faustus: All sounds good. Will probably get to it tomorrow. Can also chat to you when I see you in a bit DM. Constance: I’m thinking halfling monk. DM: Human barbarian, halfling monk, and…? Faustus: Dragonborn paladin. Named Faustus. Constance: I think my monk is called Constance. DM: Faustus the dragonborn paladin, Constance the halfling monk, and Bronan the barbarian? DM: The sun is setting behind you to the east, and for miles with exception of the needles, you see nothing but dunes. What do you do? Constance: I pull out one of my torches and light it from my tinder box, looking around for higher ground. DM: But hey. What do you do, Constance the totally male monk? Faustus: Can we hear any other sounds? Faustus: The eyes still there? Just in front of us? I look around to see if we are surrounded. Faustus: I also light a torch, holding it in my other hand. I cautiously move a few feet forward. Does the closer light of my torch do anything to the eyes? DM: Bronan thinks these may be…noles? Moles? Gnolls? Doggy men things. Faustus: I guess I said I was sword out ready for this so me first? DM: Damage amount and type please! Faustus: Faustus attempts to strike at the gnoll who just licked his armour. How does a 12 to hit do? DM: Which gnoll were you attacking? Faustus: Faustus gives chase for a few feet, pulling out a javelin while he runs. He flings it with all his might (his might being a 20 to hit, not nat) and the javelin thunks into the beast’s good leg for 7 damage. Constance: Faustus you killed it! We could have asked it where this came from? Faustus: That’s why I said leg! Constance: What were you trying to do long distance javelin surgery!? Faustus: Yes. I choose that. Faustus: And long distance javelin surgery is my jam. Faustus: Yeah that sounds like it should be your bag. I’ll intimidate or something. Faustus: Can you understand us? Faustus: I ask in common and draconic for kicks. 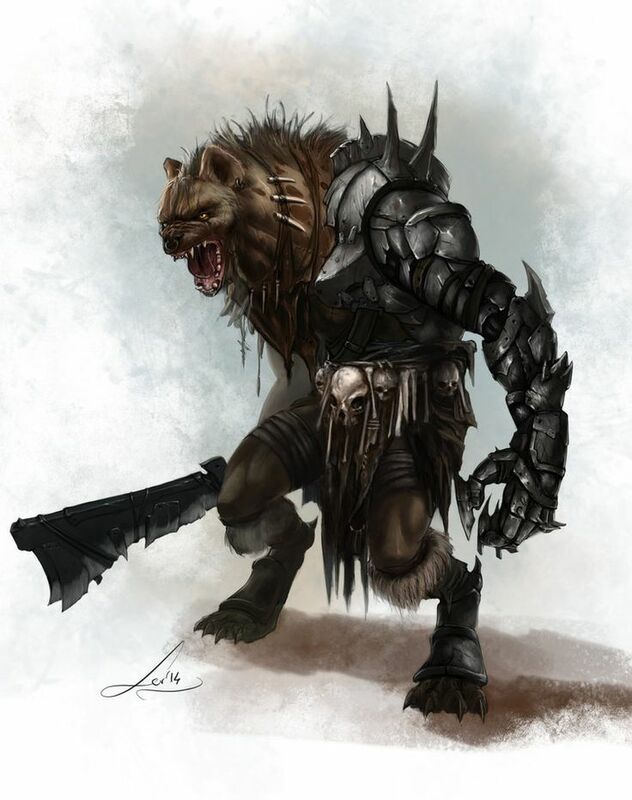 DM: Do any of you speak gnoll? Faustus: Sorry was that what he said, or was that draconic? Constance: I hold the amulet just out of his reach so he can see it. Constance: I point to myself and say “Constance” and then point to the gnoll. Constance: I point to the amulet with a questioning look. Faustus: I hold out a small amount of food from my rations. Faustus: Like a double stacked lunchable amount. Faustus: Up to you guys, I didn’t take a hit so I’m all good. But also vision might help for heading to the tomb. Constance: Travelling by night might not be the best idea comrades. Faustus: I can take first watch. We tie up Jamsi. I ruffle his head and say “good boy” and give him another lunchable. Faustus: Well I ruffled then fed, so I think I came out on top. Come back next Monday for Chapter 2 of The Cursed Tomb!